ICF Olson and ICF SCM - a firm completely focused on US federal government work - both sit under ICF International. FAIRFAX, VA: ICF International has consolidated several of its firms under the ICF Olson brand, a year and a half after it bought Olson, including its PR firm Olson Engage, for $295 million. 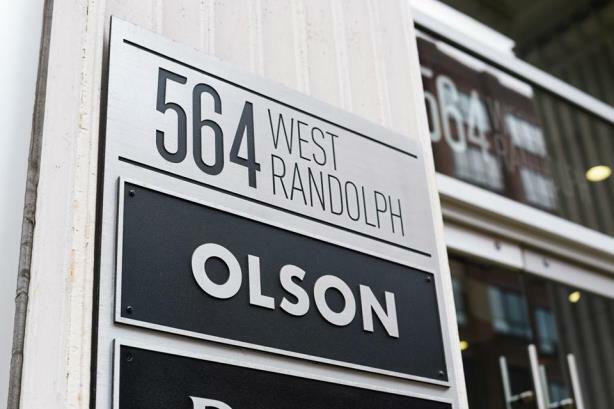 It billed ICF Olson as a full-service marketing agency built to address the "new realities" facing clients. The agency is focused on the intersection of creativity, technology, and strategy and will provide clients with expertise in areas such as experience management, loyalty and CRM, digital platforms, and strategic communications, it said in a statement. The combined firm is made up of four agency teams: Olson, focused on digital and advertising; Olson Engage, which has expertise in PR and social media; ICF Olson 1to1, which handles loyalty and CRM; and a group also called ICF Olson, which provides clients with digital- and technology-enabled platforms and solutions. "While Olson Engage will continue to do business as Olson Engage, it will now be able to offer clients interested in a broader engagement an unusually broad and deep set of capabilities under a single P&L, with expertise everywhere from loyalty and CRM to PR to digital-experience management to advertising," Olson Engage SVP Jeremy Mullman told PRWeek, via email. He contended that major holding companies are using a similar model – but only for cornerstone clients. "This is precisely the model the big holding companies are pretzeling themselves into for big clients, but ICF Olson will operate this way all the time," said Mullman. ICF Olson’s executive leadership team includes Margaret Murphy, president of Olson and ICF Olson 1to1; Olson Engage president Bryan Specht; and Matthew Van Bergen, president of digital solutions. Michael Brown is serving as chief growth officer, Kevin Hansen is chief talent officer, and Eric Hudgens is leading operations and financial management across the group as SVP. The executive leadership team reports to ICF International CEO Sudhakar Kesavan. "CMOs are now leading technology decisions and chief information officers are involved with CMOs working on all kinds of marketing strategies," said Kesavan. "Given this convergence of technology and marketing, we thought this was a good way to bring all the pieces together, make them all work together, and get the ball rolling." The agency has more than 800 employees in 14 offices throughout the U.S., Canada, and India. Meanwhile, ICF International has more than 5,000 employees who work with government and commercial clients from more than 70 offices worldwide. ICF Olson and ICF SCM – a firm that is completely focused on US federal government work – are both a part of ICF International. "ICF Olson is focused on primarily everything else, other than the government," explained Kesavan. "We didn’t want to impose all the bureaucracy of a government-focused entity on ICF Olson." In January, Beam Suntory named Olson Engage as its US PR AOR for Jim Beam Bourbon. That same month, the firm hired former McDonald’s brand manager Jeff Olson as EVP.